I don’t mind doing work for people I’ve never met or talked to before. I ain’t gonna lie though, when people I deeply respect and who have given me experiences I truly cherish ask me to do something for them, it’s a special thing. 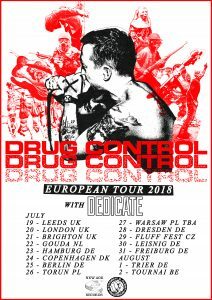 I’ve come accross Danny from Drug Control here and there during my trips to the US. Two memories stand out. First and foremost the Coke Bust show he promoted in Pamona, CA in 2013. 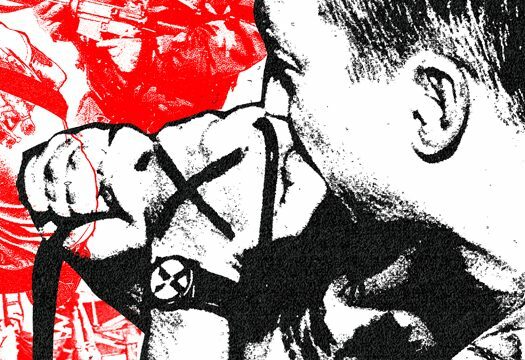 I struggle to recall any show during the 25 years I’ve been going to punk shows that was sweatier than this one. I don’t know how I managed to do merch for Coke Bust being that completely soaked. 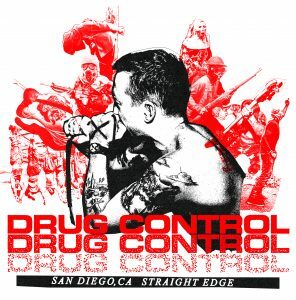 Secondly, Drug Control played a sick set a Damaged City pre-show a couple of years back. What it boils down to is that Danny is one of those special, cherished people. 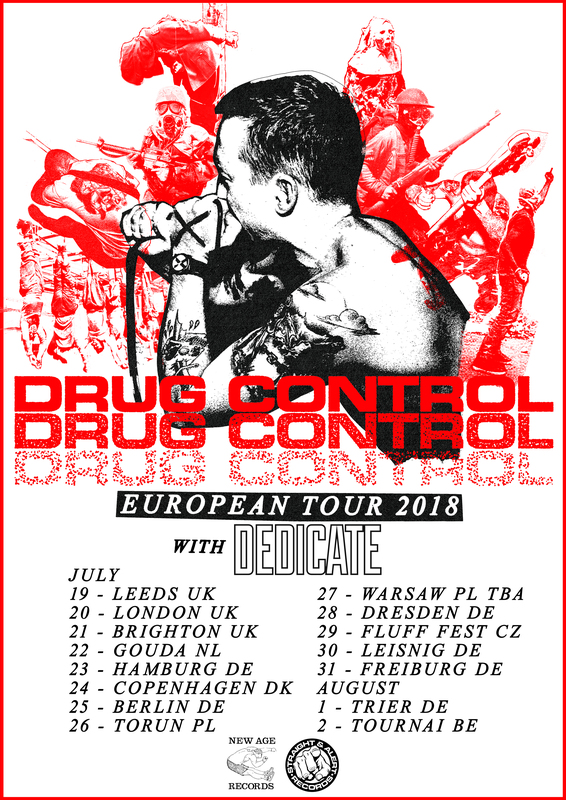 Even more cool was the fact that I went straight from doing this shirt/tour poster, to doing the Harm Done tour poster for my buddy Alexis, who released Drug Control in Europe, and who is another dude in the same category as Danny. It all connects! Thanks for having me, Danny.